How To Lose Weight And Keep It Off!!! 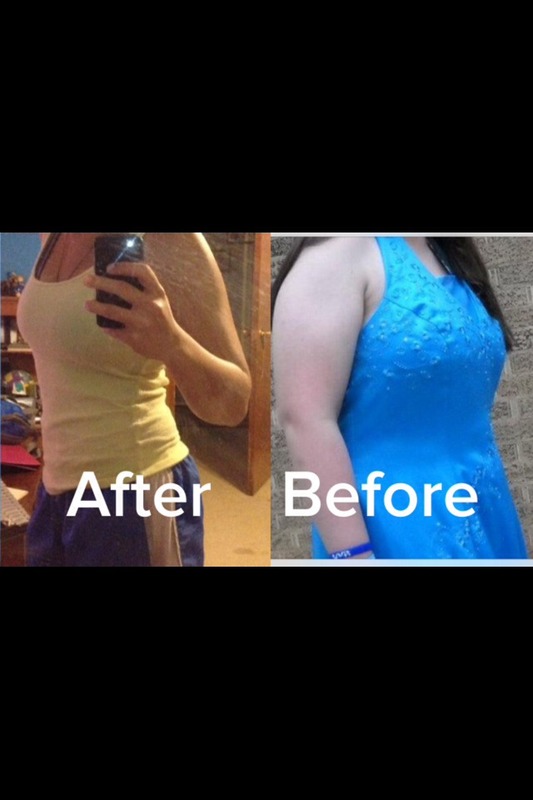 This is how I lost over 50 pounds and managed to keep it off for two years and counting! 1. Forget about the number on the scale!!! You can set unrealistic expectations for yourself. I started losing weight at 215 pounds, now I'm at 160, I thought I could lose more, but it turns out 160 is a very healthy weight for me. I look and feel great even with that number on the scale. 2. Let your body do what it does. Don't get discouraged if you don't see results immediately. I didn't notice results for 3-4 weeks after I started, and other people didn't notice for about 2 months! 3. You can eat just about anything you want!!! No I'm not kidding, but there is a catch. The catch is, during meal time (3 meals a day) only eat what fits under one hand, this is the correct portion size. For example, one slice of pizza may fit under your hand, you can eat that, but that's all you eat until next meal time. Eventually you will begin to choose better, more filling options. It works! 4. Learn to be hungry. Will power is the biggest factor in weight loss. If you keep away from eating when it's not time for meals or snacks, then your body will adjust to not eating as much or as often. If you keep it up within a few weeks you will fill up more with a lot less. 5. Snack on fruits and vegetables only!!! No ranch or other dips!!! Fruits and vegetables are low in calories and are very healthy, if you need a mid morning or afternoon snack, stay away from the chips and junk. My favorites are apples and fresh sugar snap peas. 6. Exercise!!! You don't have to start by running marathons! You can ease yourself in. I started by walking a mile every day, then when a mile didn't seem so bad I bumped it up to 2. I got to where I was walking 5 miles easily. When I thought I was ready, I started to run as long as I could (which was barely a minute) then continue walking the rest of the 5 miles. Work your way up. Now I can run over 5 miles at a steady pace! Don't forget to stretch after! To make your work out even better, throw in a few sit ups and push ups before and after you walk/run. 7. Remind yourself that you look great from the beginning. When you look smaller in the mirror, or start putting on your clothes that are getting too big, smile, this is a major achievement. Soon, other people are going to catch on and tell you that you look great! 8. Cheat days!!! Cheat days can be twice a month, you choose when they are. Why only twice a month? Well, on cheat days you can eat what ever you want and as much as you want all day. Also, your body's not used to it if you've been eating right, so not nearly as much of the fat and calories will be absorbed by your body, so it won't hurt you. I usually chose birthday parties or special occasions for my cheat days. 9. And lastly, listen to your doctor! When he/she tells you you are at a healthy weight, believe them, keep it up and start, work more on building muscle than losing fat. If you keep trying to lose weight from a healthy weight, you'll begin to lose muscle. I hope I inspired you to start dropping the pounds. It takes lots of work at first, but you'll feel great in the long run!